Cost: $43-$86, through the Fox box office, the symphony website or any TicketsWest outlet. 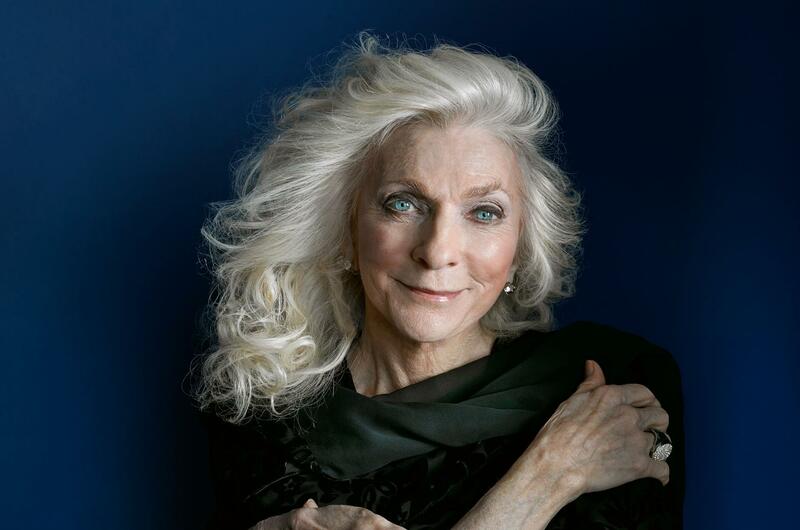 Legendary folk singer Judy Collins was in Hawaii when she spoke to The Spokesman-Review in early January, but the singer wasn’t there on vacation. Looking at Collins’ output over the past couple years, it seems like she’s long overdue for one, but she hardly seems to know what the word means. After a performance at the Honoka’a People’s Theatre, Collins performed in California before jetting off to Ireland for shows in Cork and Dublin before returning to the U.S. for gigs in Pennsylvania and Wyoming. Her whirlwind tour schedule brings her to the Martin Woldson Theater at the Fox on Saturday for a Pops concert with the Spokane Symphony, conducted by Jorge Luis Uzcátegui. The Seattle-born, Denver-raised Collins is best know for “Both Sides, Now” and “Send in the Clowns.” In 2016, she released the Grammy-nominated “Silver Skies Blue” with singer-songwriter Ari Hest, who Collins met backstage at a show. After recording another of Hest’s songs, “Strangers Again,” Collins was inspired to call up an all-star cast of collaborators, including Michael McDonald, Marc Cohn, Willie Nelson, Jackson Browne, Don McLean and Glen Hansard, for an album of duets, also called “Strangers Again,” which was released in 2015. Collins and Hest have continued writing together, and Collins didn’t rule out another collaboration with Hest in the future. Less than a year after the release of “Silver Skies Blue,” Collins released “A Love Letter to Stephen Sondheim,” a project Collins said she’d been working on for 25 years. The song earned Collins a Grammy nomination for Best Pop Vocal Performance, Female and a Grammy win for Song of the Year for Sondheim. A noted author, Collins released her seventh book, “Cravings: How I Conquered Food,” last year. In “Cravings,” Collins weaves her story of overcoming compulsive overeating with short biographies of diet gurus throughout history. “I wanted people to know there’s an easier, softer way to do it than going on these multiple diets, and so I told my story,” she said. As if that weren’t enough, Collins rounded out 2017 by releasing “Everybody Knows” with Stephen Stills, her former boyfriend (She was the inspiration behind Crosby, Stills and Nash’s “Suite: Judy Blue Eyes.”) and longtime friend. Collins and Stills had thrown around the idea of recording together for years but weren’t able to coordinate schedules until last year. “Everybody Knows” features songs written by Collins or Stills as well as covers including Bob Dylan’s “Girl from the North Country,” Tim Hardin’s “Reason to Believe” and the title track, written by Leonard Cohen and Sharon Robinson. The pair toured behind the record last year and plan to hit the road again in May. After more than 50 years in the music business, and as many releases to her name, Collins knows it’s only a matter of time before she’s able to check every goal off her to-do list. Published: Feb. 1, 2018, 5 p.m.